Ships tomorrow if you order in the next 21 hours 43 minutes. 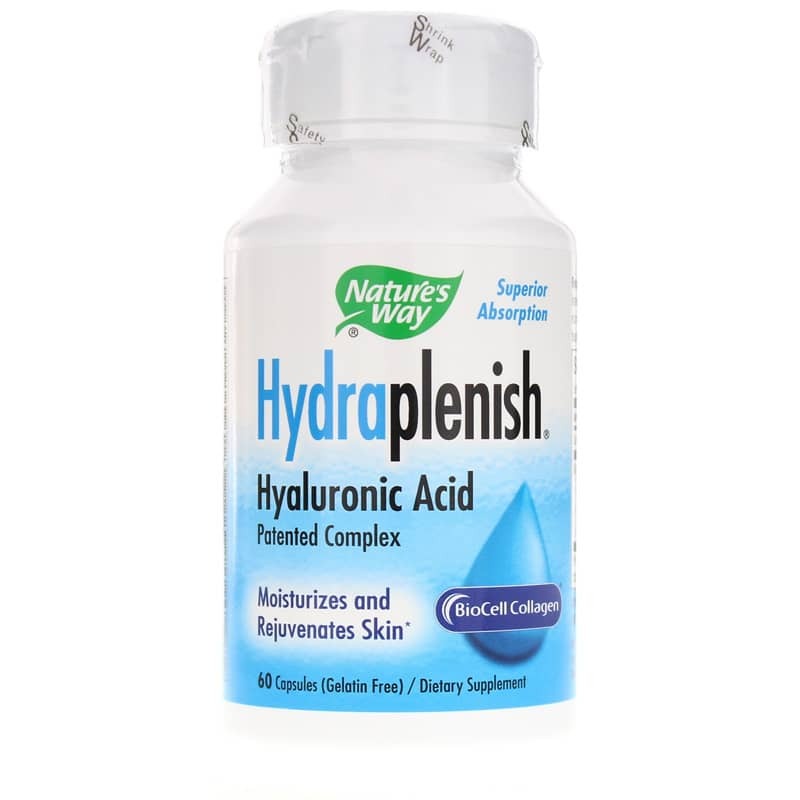 Hydraplenish by Natures Way is a hyaluronic Acid supplement is a natural supplement that contains BioCell Collagen, an internal moisturizer for skin and joints. Hyaluronic acid is a "gelatin-like" fluid that acts as a natural lubricant and shock absorbent within the body. It is an important part of healthy connective tissue, and is also abundant in the eyes, joints, heart valves and skin. Other Ingredients: plant-derived capsule (modified cellulose), cellulose, magnesium stearate. For intensive use: Take 4 capsules daily. This product has changed - not happy with the new formula.